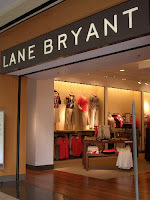 Lane Bryant is one of the latest companies who has joined the texting revolution! You can now sign up and get coupons sent to your mobile phone. You can sign up on-line, or you can text LBTXT to 50799. (Standard texting rates apply). Right now, you can save $10.00 on capris and $20.00 on jeans, when you shop on-line. If you go throughIf you want to get paid to shop, you can go through one of these sites and get 3% cash back + $5.00 if it is your first purchase: Shop at Home, Ebates or Mr. Rebates.